The ability to hear the dead, gift or curse? Sara has landed in a mental institution because of her gift/curse. The dead are never quiet and they have slowly driven her insane. She has even tried to end her life just to escape the constant voices. Her family and her son have disappeared. The doctor at the institution claims she never had a son. She knows that her son was real, she knows he is out there somewhere. She can't be crazy, she can't have made him up in her mind, could she? All she knows is no one ever visits her except the dead. She has to get out of this place. One day she has a visitor, a blue eyed spirit, he is not dead she knows this because he does not just repeat the same words over and over. He tells her that her son is safe but she needs to find him, she needs to get out of the institution. She tells him as long as the dead keep driving her crazy she will never be able to be free. The spirit is able to silence the dead or at least make them quieter. Then the most amazing thing happens, she has a visitor. She does not know the man, but for some reason feels she should know him. Who has her son? Who is Daniel and why does he want to help her? Who is the blue eyed spirit and what does he want? This one hooked me right in, the concept was pretty intriguing. Sara is not a normal woman. Her spirit friend is not a normal spirit and the man Daniel is special as well. This book deals with the fallen. Fallen angels. I have never really read a book quite like this one. I highly recommend it for any paranormal lover out there. You will not be disappointed. I will be looking for more books from this author. 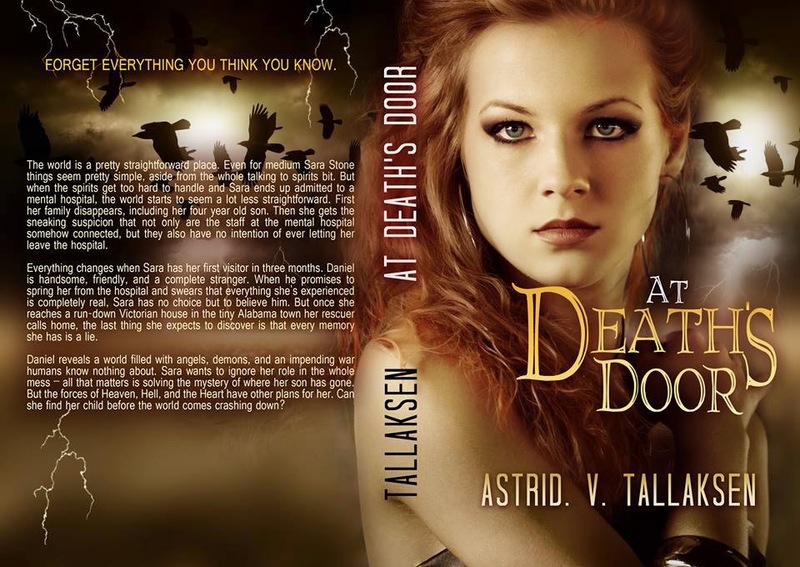 Debut author Astrid V. Tallaksen grew up with a heart for stories of creatures and places outside of this world. Her love of reading quickly became a love of writing. She spent several years creating content and helping writers to improve their craft on the online world of Althanas, a creative writing workshop in the guise of a roleplaying forum. A self-avowed nerd, Astrid loves science fiction, comic books, and eighties fantasy movies in the vein of The Princess Bride and Labyrinth. Her geekiness extends to annual volunteer work at the massive sci-fi convention known as Dragon*con every year in Atlanta, Georgia. In the odd times that she’s not immersed in geekdom or writing, Astrid loves to sing karaoke, crochet, and spend time with her family and pets.